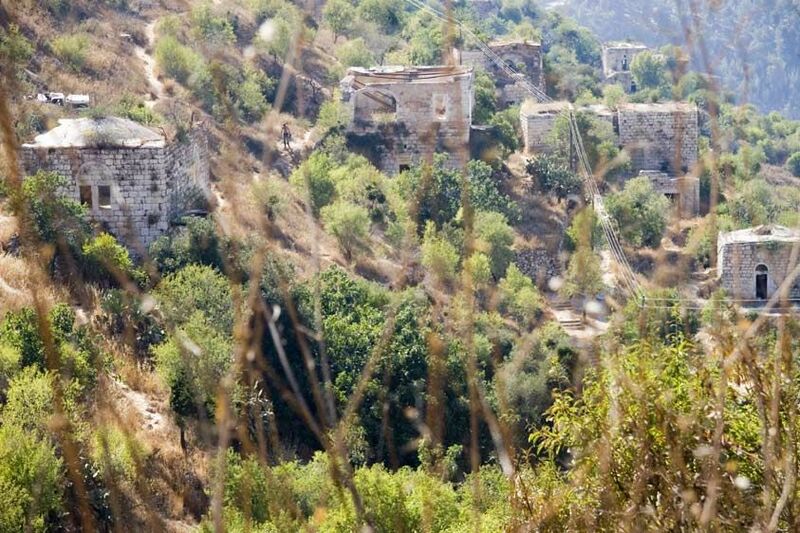 The remains of Palestinian homes on the hillside of Lifta, a village populated until 1948. 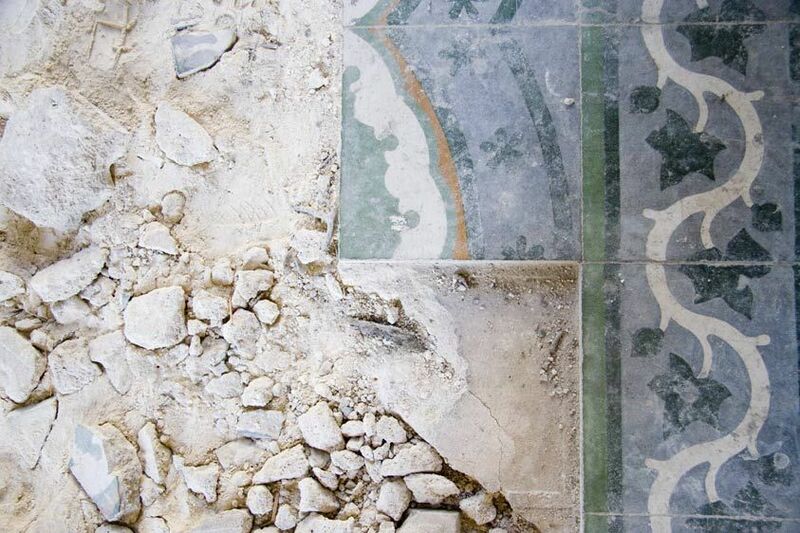 Detail of decay in a fomrer Palestinian home in the village of Lifta. The interior of a home in Lifta, a Palestinian village from before 1948. 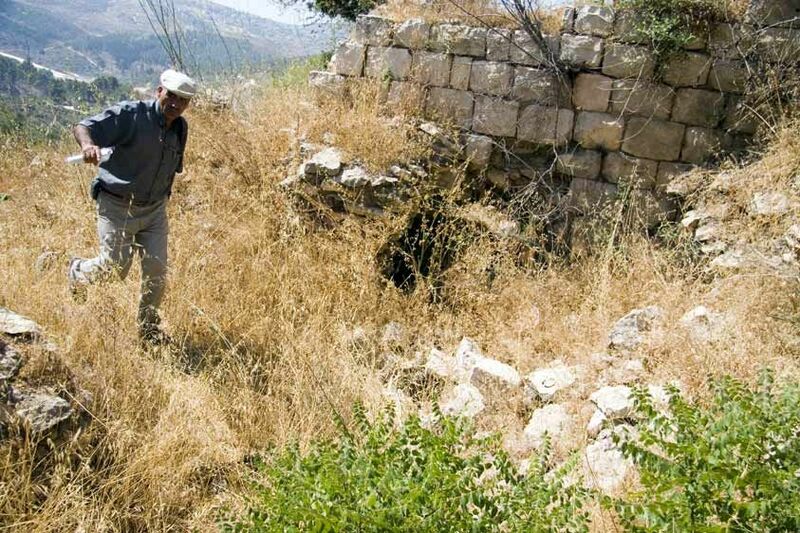 Jacoub Odeh shows the sites of his former home in Lifta. He was a child in 1948 when 750,000 Palestinians were expelled from their homes. Jacoub Odeh was a child in 1948 when his family fled the invasion. He shows the sites of his former home and village, now desecrated. 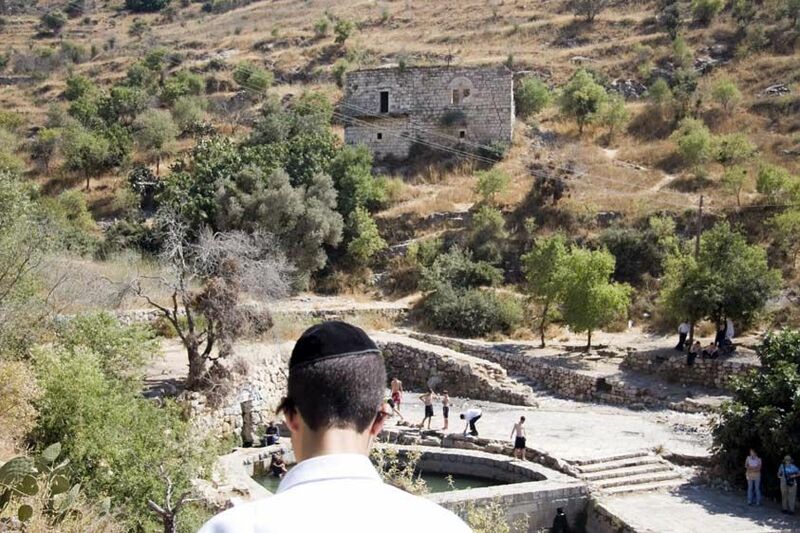 Today Israeli settlers recreate in the former Palestinian village of Lifta, exvacuated in 1948. 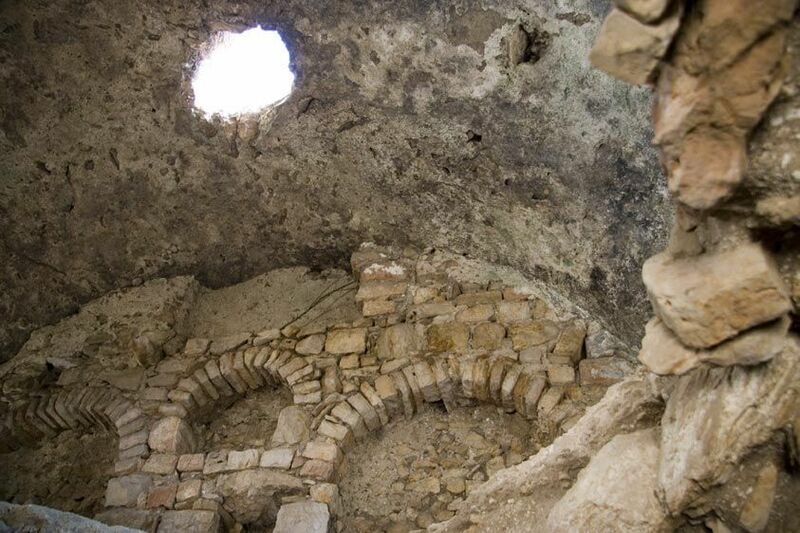 Architectural remains in the decaying village of Lifta which was populated with Palestinians until 1948. The former village is 15 minutes from Jerusalem. Although many of the families from Lifta remained in the area, none have been allowed to rebuild on the sites of their family homes. 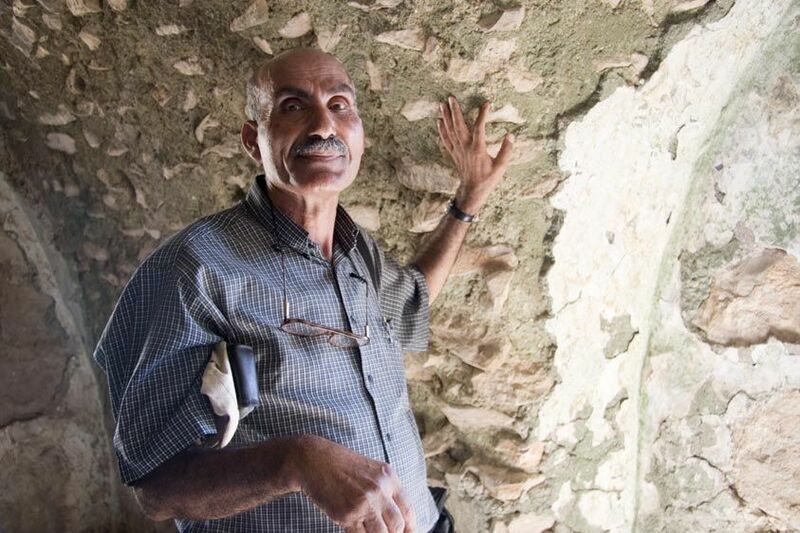 A decaying wall in Lifta, a Palestinian village populated prior to 1948. Israeli Construction on the hilltop encroaches upon the area.